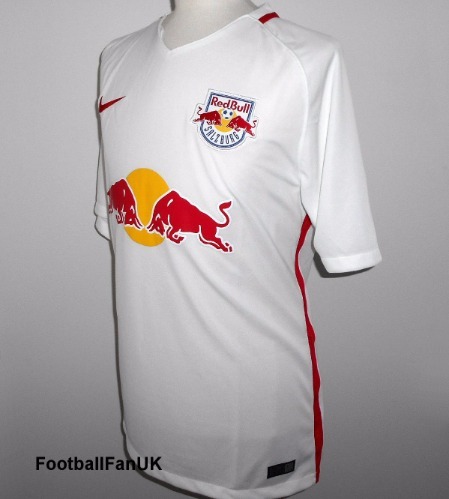 This is an official Nike short sleeve shirt of RB Salzburg of Austria, and used by the club as their home shirt for the 2016-2017 league season. New with tags. - White with red trim. - Red Bulls sponsors logo on chest. - Nike product code 813301-101. - Official Nike shirt features authenticity patch with individual serial number. - Adult size XL. Chest 48", length 31".